Many of today's children and teens are totally immersed with texting, Facebook, Twitter, Myspace and other social networking sites. While social networking may appear harmless to many of these young people, it can open to the door to child predators and other dangers. As part of efforts to keep kids safe on the internet, the Sheriff's Office supports National Internet Safety Month during June. 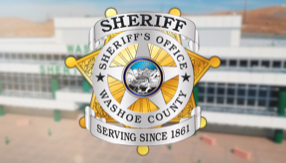 The Washoe County Sheriff's Office encourages parents to educate themselves about the potential dangers of social networking and to make sure that they are aware of what their children are doing online. A Pew Research Center and the National Center for Missing and Exploited Children survey of 10 to 17-year-olds showed that 34 percent of them had posted their real names, telephone numbers, home addresses or the names of their schools online for anyone to see. Allowing kids to go online without supervision or ground rules is like allowing them to explore a major metropolitan area by themselves. The Internet, like a city, offers entertainment and educational resources, but also presents the risk of coming across websites containing adult or violent images, false information or worst, coming into contact with sexual predators. Kids need help navigating this world. Go to www.cybertipline.com for more information or to report a crime. Keep social networking site profiles set to "private." Do not give out personal details such as address or school information. Turn off your webcam after using it so it cannot be hacked. Do not send anyone inappropriate photos of yourself or anyone else. Discuss the dangers of the internet with your child and set ground rules to follow. Review safety/parental controls on your computer, search engine, email, and instant messaging. Monitor your child's online activity and the sites they visit. Keep the computer or laptop in a common area, not in your child's bedroom.